Time to learn with Dory! This little Disney fish is on a big mission. She needs to find out who she really is. Come and join Dory on a fact-finding quest where you’ll also learn cool skills for school. Finding Dory’s true identity is going to need some brainwork. Are you ready? Don’t panic: Dory, Nemo and Marlin are right here to help you along. 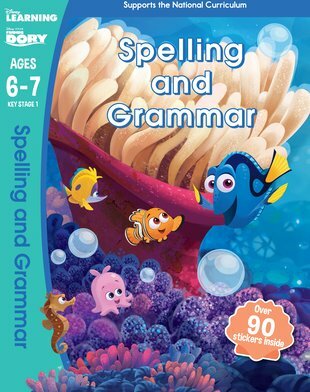 Practise your skills in a magical ocean world full of sparkly fish and rainbow corals. Totally like a tropical holiday! Totally nothing like sitting in class!